Cantemo Portal™ enables you to easily and quickly ingest your files. At the same time, we also recognize that there are lots of different ways in which you may want to do that, so we ensure the ingest process is flexible. 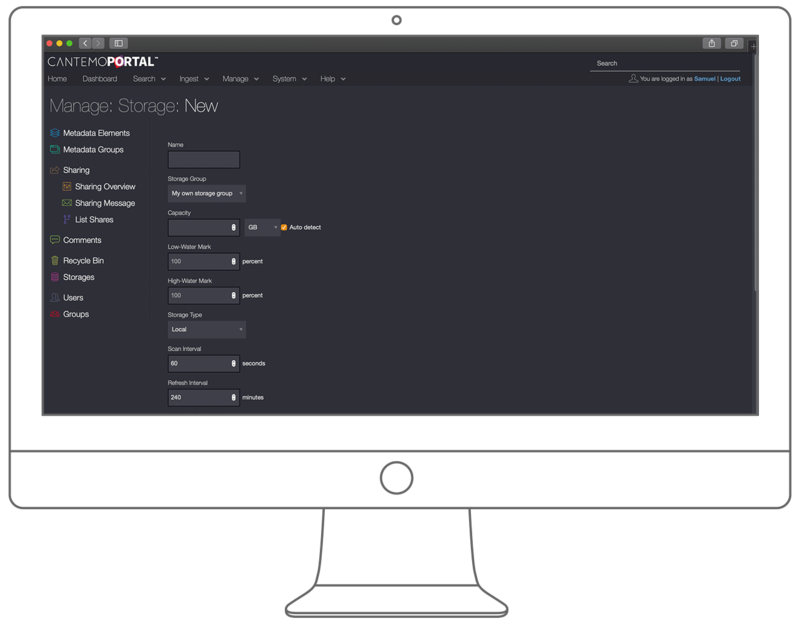 Portal supports all imaginable different file formats and is able to automatically transcode files upon ingest. Naturally a key goal is being able to find those files quickly after ingest, so that they can for instance be shared or edited in the chosen NLE. That is why Portal supports ingesting and relating assets to each other at the time of ingest. Automatic transcoding and setting access rights upon ingest is also a key feature. Simple rules can be set up by the administrator to transcode and set access rights on incoming material based on origin or the user ingesting the assets. Being web-based means that you are able to ingest your files wherever you are in the world, as long as you have an internet connection. This is particularly key if you are shooting on location and want your assets to be ingested directly into Cantemo Portal ready for usage. Supporting file chunking means that it doesn’t matter how big your files are, the system will be able to ingest them with ease. Entire folders can also be uploaded at one time. Metadata support means you can insert the right associated metadata at upload. 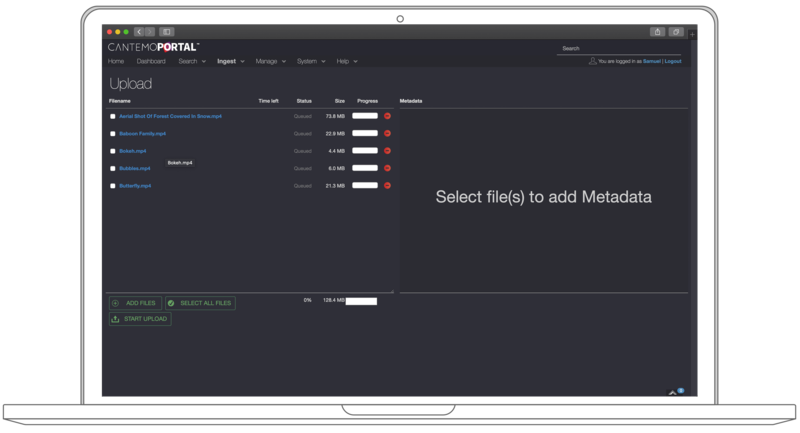 For entire folders, users are able to edit metadata independently or in bulk for those items. Once metadata for an item has been edited and saved, a paperclip will be displayed next to the item to show its metadata has been set. Being able to retrieve files back from the storage is an important function. Users can manually select files which should be imported from any storage monitored by Cantemo Portal. In some cases, you may want to enable auto-ingest for incoming assets. For example if you have providers uploading media to your FTP site. You may also want to automatically associate metadata, transcode to other formats, and apply access rules for the ingested assets. moved or copied to the main storage(s). optionally removed from the watchfolder. 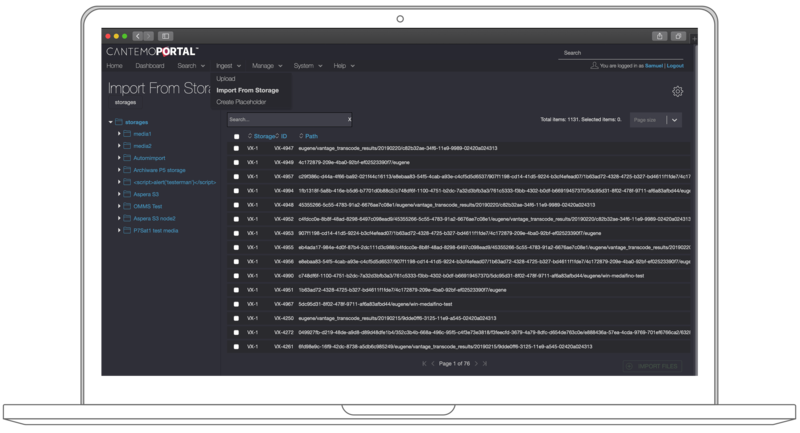 Portal supports having multiple watchfolders, and each can be set up with a tailored ingest workflow depending on the purpose of the incoming material. Metadata is key to good media content organization, enabling you to easily find the right files at the right time. Metadata in media asset management systems is just like the label you used to stick on your tape, but significantly more sophisticated. Metadata is data attached to an asset about that asset. 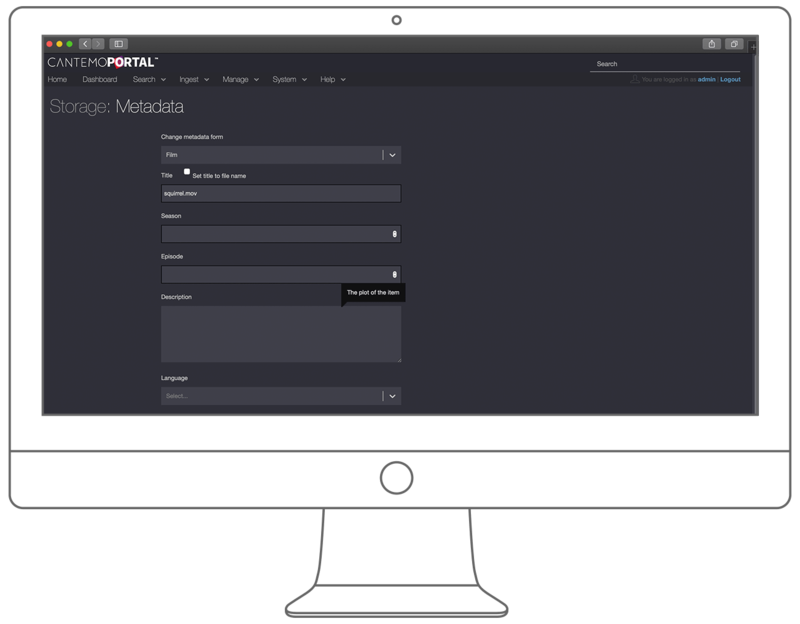 Metadata is supported at ingest, and right through the workflow within Cantemo Portal. This means that you can include your sidecar metadata along with your files at ingest, safe in the knowledge that metadata will be discoverable and translatable within Portal, making finding those files again quick and simple. Cantemo Portal also supports extraction of embedded metadata so you can easily review the metadata associated with any asset or collection of assets. The Windows and Mac Uploader have the support to do Aspera FASP Uploads when you configure Portal to communicate with an Aspera transfer. This works both with Aspera On premise or Aspera In the cloud.